A Kiss For The Petals - The New Generation! Aya: Hey, Ai, we have more chairs, you know. Rina: Ah♡ Nagisa, where is this coming from? Manami: Wh... W- Wall block?! Ai: Mm-hmm♡ Your hair is so pretty and silky, Aya. Rina: Well? Don't you think my chest has gotten bigger too? Nagisa: R- Rina... Everyone's watch— hnngh! Hazuki: Hm? Manami, didn't you want a kiss? Manami: B- But... What if somebody saw us...? I'd be embarrassed. 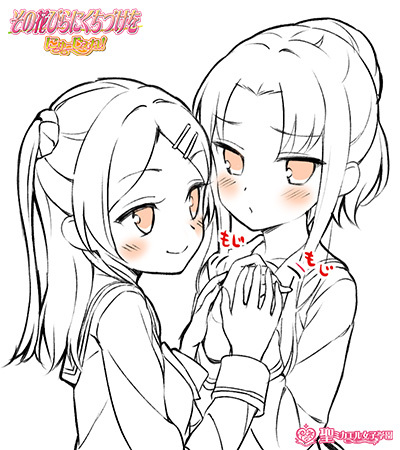 Aya: A- Ai... Why are you so close?! Ai: It's so I can feed you mouth to mouth... I did it for you. Aya: Y- You're joking, right?! Rina: Hey, Nagisa. Is my scarf warm? Nagisa: Yeah... It seemed pretty long, so I thought we could share it like this. Hazuki: Hey, Manami... Cheer up. 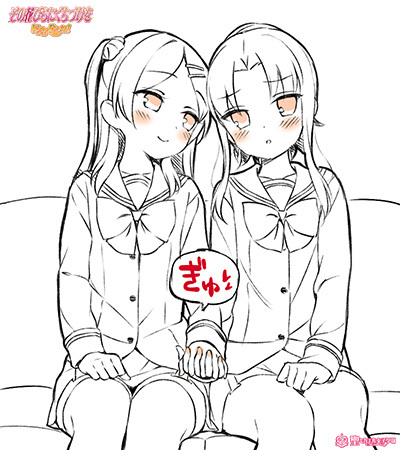 Manami: Hmph... Hey, don't try to hold my hand. 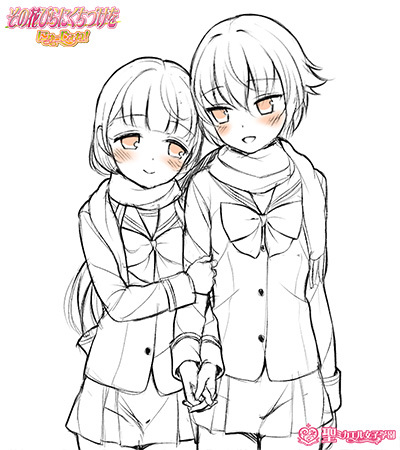 Hazuki: Ehehe♡ They call this the lover's link, though. © 聖ミカエル女子学園 / St. Michael Girls' School. All rights reserved.